Calcutta does not have too many fashion events. But it seems when we do, we have them in plenty! Right after the Kolkata Fashion Week, we had the Blender's Pride Fashion Tour. 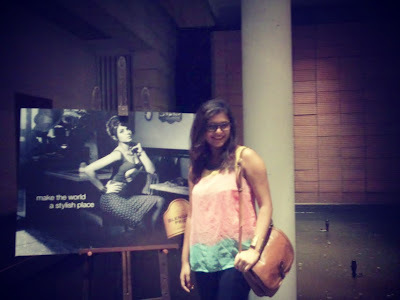 But I managed to go for only two shows (Asmita Marwa and Raghavendra Rathore) because you know, WORK! 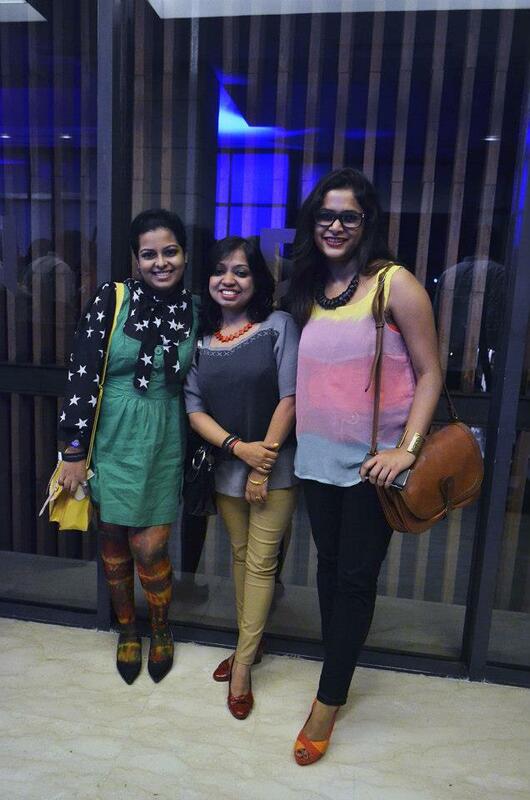 *sigh* Also, its always great to catch up with the girls and thank you Debi for the pretty pictures! 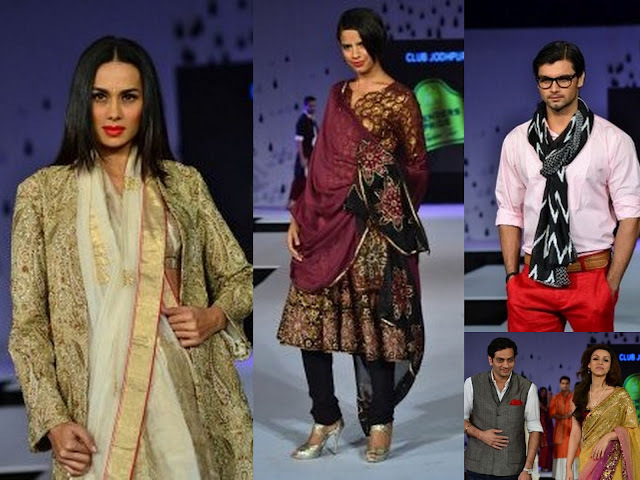 I have always loved Raghavendra Rathore's designs..the simplicity of his designs, the clean cuts and the way he uses his Jodhpur connection. So when I saw models walk down the ramp in his designs, I wanted to jump out of joy. Of course I didn't. I just ogled at him and his 'Club Jodhpur' collection. 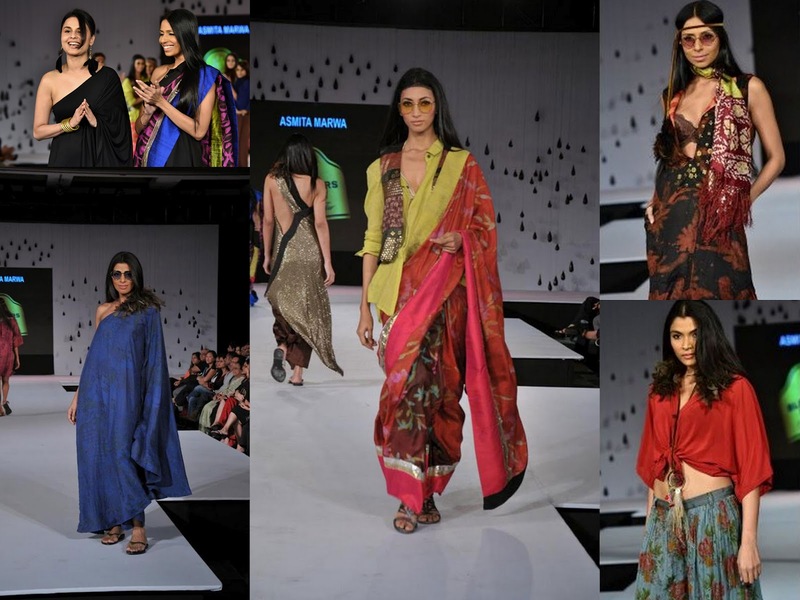 Asmita Marwa's collection was more relaxed and apt for resort wear. I loved the hippie vibe of her collection..the head bands, feathers and free flowing silhouettes. It was a collection inspired by the 60s and 70s Woodstock era of fashion when freedom, peace and music expression defined the lives of people. I could totally see myself wearing half of that collection! you looked awesome that day..i loved your look! 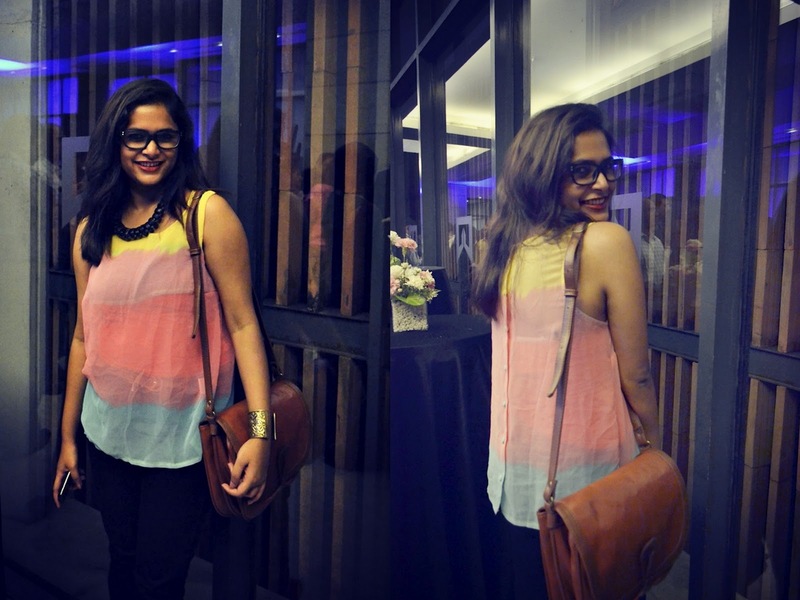 u know how much I love this top !I am planning to do a post wearing it too ! Lovely mixing it with ur great smile! Ure looking great. Loving all those colours :). I like Rathore's stuff, but somehow never find the good pieces in stores. And those glasses look great on you! I hear about these fashion events alot these days. Wish I could attend one. Love your shoes color! Fashion Men Clothing is very adorable but if price is high then we should think about it.